The Red Sea Project (RSP), an ultra luxurious tourist destination, announced by Saudi Crown Prince and chairman of the Public Investment Fund (PIF), Mohammed bin Salman, in August, 2017, is part of the Kingdom’s #Vision2030 to boost the Saudi economy through tourism. World class luxury resorts across an area of 34 thousand squared kilometres for nature, adventure, recreation, health and culture will be spread across an archipelago of 50 islands, along a 200 km coastline, situated along Saudi Arabia’s western coast. The Red Sea is one of the best diving location in the world for its warm waters and diverse marine life, including the world-famous coral reef natural reserves. Pristine beaches, temperate weather, flora and fauna nature reserves, unique landmarks of majestic mountains and dormant volcanos, and historical UNESCO World Heritage Sites. The project will begin in 2019, and the completion of phase one will be anticipated in 2022. Phase one includes, logistical infrastructure, establishing utilities, air, land and sea transport hubs, transportation services, development of hotels, in partnership with world-leading hospitality firms, and luxurious residential units. 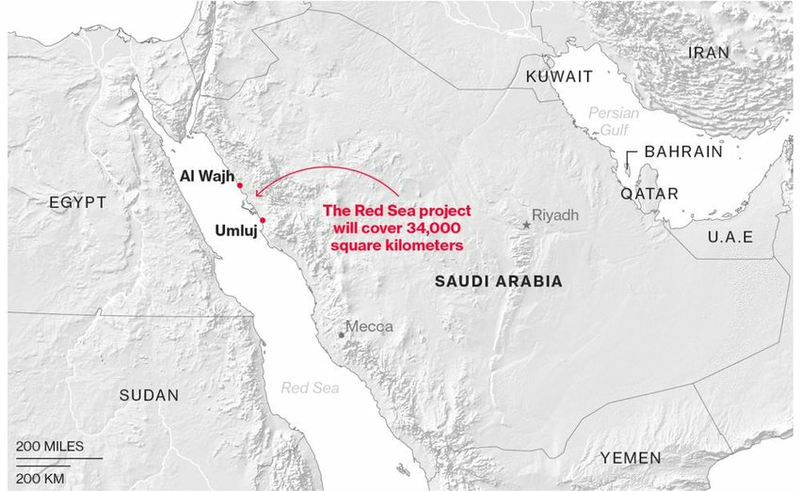 The Red Sea Project is funded by the Saudi Public Investment Fund (PIF), and will generate 35 thousand job opportunities. The project will attract local and foreign investment, and maximise Saudi Arabia’s revenues by increasing the PIF’s income, contributing $4 billion annually to the Kingdom’s GDP. Abdul Rahim Naqi, Secretary General of the Federation of Chambers of the Gulf Cooperation Council (FCGCC), said the project is expected to bring “hard currency, attract foreign investment and diversifying the economy and income sources”. An advisory board of 12 international experts in business, sustainability, environmental conservation and tourism, will help develop the project, which will be governed by international standards for sustainable development, and a special environmental legislations to protect the resources of the Red Sea to the highest standard. It will also follow separate organisational and legal frameworks which will be developed and managed by a special commission. International law standards will govern the semi-autonomous area. A special travel system will be implemented for international tourists, as most nationalities will be able to travel to Saudi Arabia, for the first time, without a Visa. 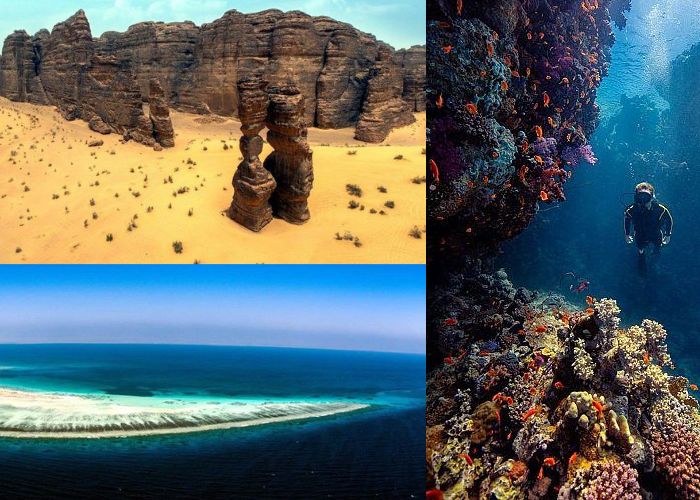 The Red Sea Project hopes to attract one million tourists annually. Saudi Arabia has been primarily focused on religious tourism, with up to 13 million pilgrims visiting its two holy cities every year, including more than 2 million for the annual Hajj. With the promotion of the Red Sea Project, the Saudi’s changing attitude seems to provide a relaxed cultural space for locals and tourists. Read: #RichardBranson, director of two massive Red Sea projects, suspends dealings with Saudi Arabia, pending an end to #JamalKhashoggi controversy.